Forkable is a new option to provide individualized lunches for in-office meetings and events. Attendees input their preferences into the online platform, for example to indicate if they are vegetarian or prefer low-calorie meals. 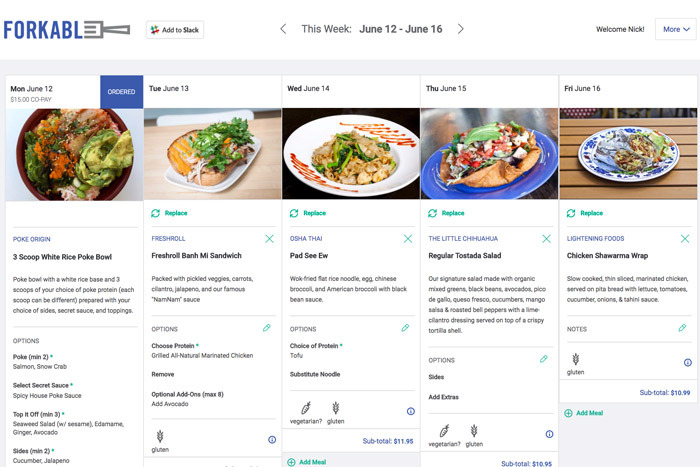 The week before the scheduled delivery, Forkable sends a message to each attendee with a suggested lunch from a nearby restaurant, based on the budget determined by the planner. The attendee can accept it or choose from more than a dozen other options. The day of the event, Forkable delivers the lunches labeled with the names of each attendee. Users are asked to rate their lunches so the system becomes “smarter” over time about individual preferences. There’s no contract or commitment, but Forkable does require a minimum of four orders per delivery. The service is available in the San Francisco area, Silicon Valley, New York, Los Angeles, Boston, Chicago, San Diego, Seattle, Washington, and Austin, Texas, with plans for future expansion in the United States and abroad. Brands and planners seeking new ways to communicate with their target audience can now look to the sky. 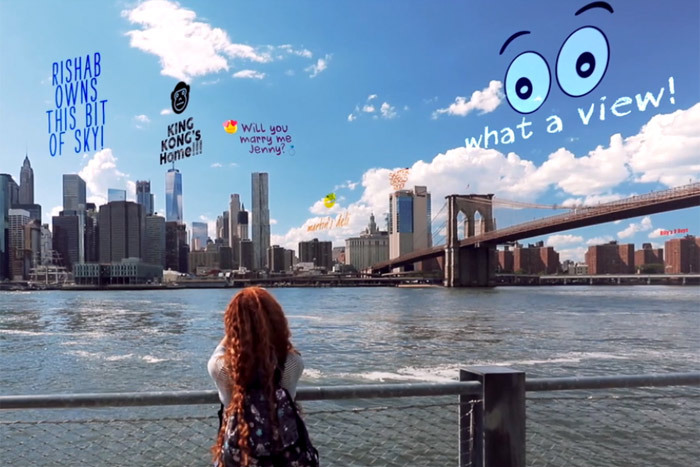 Skrite is an augmented-reality app that allows users to upload content such as words, drawings, photos, logos, and more in the sky above a specific location. When people use the Skrite app and tilt their device toward that spot in the sky, they see the content on their device, and that content remains there indefinitely. Skrite functions in zones of the sky measuring about 325 feet in diameter, and each zone can hold 25 pieces of content, or Skrites. The app is free for content creators and viewers, but Skrite also offers a fee-based model for brands that want a more customized interface or to “rent” an entire zone. AllSeated, a system of free, cloud-based planning tools have released a virtual-reality experience for its venue floor plans. 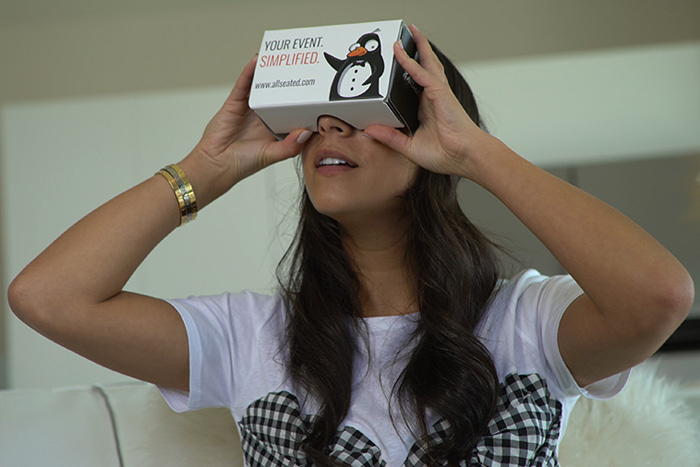 Using AllSeated’s VR goggles, planners can now take a virtual tour of their venue complete with furniture and decor. 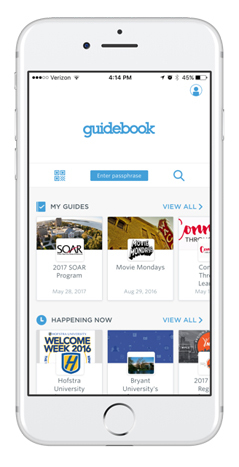 Guidebook has unveiled Discover, a new in-app experience and design for its mobile app builder. The app now includes new “Happening Now” and “Upcoming” sections that automatically populate based on agenda items currently taking place and that will happen in the near future. The app also has new logic features built in that will guide users to content specifically intended for them. Guidebook has also redesigned the homepage, providing more prominent use of the event’s color palette and logo, to enhance the event’s brand identity. 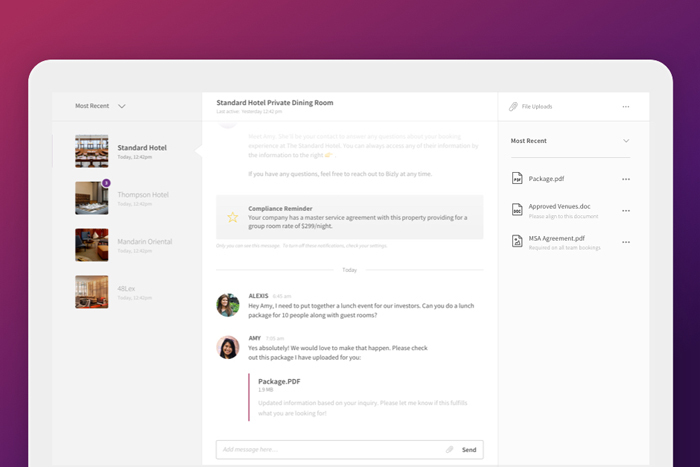 Bizly, an online platform for booking and managing small meetings and events, has added a new artificial-intelligence-powered message center. The new interface allows planners to chat directly with venues to book customized events, add sleeping rooms, negotiate, and complete the transaction, all within the chat. “The AI technology embedded within our message center gets smarter over time, learning and automating user preferences, corporate negotiated rates, approval and legal requirements, and other workflow needs for our enterprise customers,” said Bizly C.E.O. Ron Shah.